You may be aware that I have been on a Low-Carb, High Fat (LCHF) eating plan since last September and although I have not been very public with my results, I feel that this is the best way-of-eating for me. What is LCHF? It is where you get most of your calories from fats and the least from carbs. Typically your total calories are from 75% fats and saturated fats, 15% protein and 10% carbs. On this plan I have maintained my weight at the lower end (about 144 lb.) of the last 15-years range (140 -160) without spending all my time running or riding. In fact, I took the fall and winter off from training, only doing small workouts and some weights. Those of you that ride with me on Tuesday night know that I am not as strong climbing, but my overall average speeds are not bad for not training, and I have good endurance. 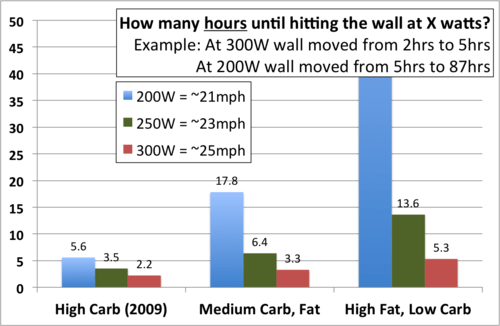 Since I am now training for the Army 10-mile run race in October, I have been even more interested in how well I can perform on a LCHF diet. I recently read a book on this subject — “The Art and Science of Low Carbohydrate Performance” by Volek and Phinney, two doctors who have evaluated the performance of LCHF athletes. In this book they discuss that once an athlete becomes keto-adapted, that is where their primary source of energy comes from fat, their endurance levels will increase dramatically. We have about 2 hours of stored carbohydrate that can be used for energy in our bodies, but even the leanest person has more than twice that amount stored in fat. But that fat is not available unless you are keto-adapted. Is jogging bad for “older” people? Other than the reference to those over 45 being “older” people, this is a great article with encouraging news for adults who’d rather stick with their favorite impact exercises and save the silver sneakers for – well, someone else! Thanks for sharing the link Dawn! (Key parts of blog captured below). Running and similar high-impact activities likewise have a salutary effect on bone density, said Dr. Michael Joyner, an exercise physiologist at the Mayo Clinic in Rochester, Minn., and an expert on aging athletes, of whom he is one. Over all, he continued, he is “skeptical” of the idea that older people should avoid high-impact activities. “A lot of concerns about age-appropriate exercise modalities have turned out to be more speculative than real over the years,” he said, adding that during his research and personal workouts, he’s seen many seasoned adults pounding the pavement without ill effects. Cramping…. Do You Really Know What Causes Muscle Cramps? I have been a continual cramping machine since I started running in high school and continuing ever since. Mostly, it is the “charlie horse” cramp that occurs when stretching or sitting in a chair, but I also cramp on the long rides, usually after 50 to 60 miles of hard effort. The cramps will affect my calves, hamstrings, quadriceps and the abductor/adductor muscles. Generally any muscle used to spin those pedals on those long, hard efforts. I like everyone else always thought it was caused by low electrolytes in my system due to the long effort. In attempts or prevent cramping, I have swallowed electrolyte pills at regular intervals, drank lots of water, drank less water, drank electrolyte drinks, and tried many different things in an effort to prevent cramping, all unsuccessfully. So I’ve been reading up on the subject. Oddly enough, it has been found that tasting salt (or pickle juice) can stop cramping very quickly, too fast for the salt too have been absorbed into the blood stream. Hence the theory that it is the brain and the nervous system that controls the cramping response, not the electrolyte or water balance. Essentially fooling the brain into allowing you to continue cramp free. Whatever you think, Joe Uhan’s blog shed some interesting light on the subject and even gives a list of things that we can do to reduce the occurrence of muscle cramps and to manage them when you get them. Most of the recommendations are not about training your muscles or taking supplements, they are training your brain to allow you to continue. Good advice to consider. which I am reading right now. An 1100+ page volume with a wealth of information on exercise science and the myths that we all think are true, including carbo-loading, drinking lots of sugary sports drinks, etc. A difficult read, but worth it if you have the time. The Barefoot Bubble, Has it Burst? Runner’s World published an article recently saying the barefoot fad is over, saying that the sales of barefoot and minimalist shoes have dropped significantly (13-14%) and shock absorbing or motion control shoes sales have increased by 25%. Actually they used the word “plummet” but I’m not sure that 13% is a “plummet.” Others are wondering the same thing: The Science of Sport (Sportsscientists.com) has an article published today that discusses this claim and the characteristics of barefoot/minimal shoe running. It seems to me that the drop in sales may just be a return to the mean since minimalist shoes were the biggest growing running shoe segment a year ago. Shoe statistics aside, it is interesting to ask how runners are doing with minimalist/barefoot shoes? A bit of history. The barefoot movement started in my memory with Zola Budd who competed in the women’s 3000M in the Olympics running barefoot in the 1980’s. She trained and raced barefoot almost exclusively. The barefoot trend became over-hyped with the popularity of the book “Born to Run.” At that time I was running in Brooks shoes, doing 5K an 10K races, running about 50 miles per week. I had no interest or knowledge of minimalist shoes. They reminded me of the spikes I ran with in high school and the way my knees hurt after an extremely hard workout (which was all we did at that time). My experience with barefoot and barefoot shoes started back in 2003 when I was running with my kid’s high school cross-country team during the summer to help the athletes get a good base in for the fall’s cross-country season. We would run on the football and soccer fields in the early morning, eventually building up to 1 to 2 hours of barefoot running. No, I didn’t start out running 2 hours barefoot immediately, I see entries in my log that say 12 minutes, 20 minutes, etc. barefoot in the beginning, either at the start or end of a run. By the summer of 2004 I was running more than 60 minutes barefoot (8 miles or so) and enjoying the cool grass on my feet in the morning. There was the occasional sharp stone or bee-sting, but for the most part my feet were strong, uninjured and just a bit calloused. I attributed much of my running ability at that time to the long barefoot runs. Unlike Zola, my feet could not handle the coarse track surface or running roads barefoot, so I started buying barefoot shoes to wear on the rougher surfaces. I had the original Nike Frees when they came out and have worn most of the versions (the minimal ones) ever since. I wore them training and racing, although for racing I sometimes wore Nike’s “Mayflys” which was a minimal racing flat that was designed to last about 40 miles. They weighed about 4 oz. and didn’t last much more than 40 miles. Still have a pair in my collection, though I don’t race in them these days. The photo above shows the shoes that are sitting on my shelf, guess which ones I use most. Recently I bought a pair of Vibram’s FiveFingers shoes to try. These are probably the epitome of barefoot shoes having separate toe pockets and protection on the soles. Somewhat like toe-socks with tougher soles. The challenge is to get them on quickly. I’ve been wearing them for short periods indoors to get used to them. No running in them yet, but will start in a few days with short runs (treadmill first, then outside on smooth surfaces). So far I find (to my surprise) that they are very comfortable. So do I think barefoot/minimal shoes work? From my experience, yes. But you have to look at the mechanics of my stride also. I am a forefoot strike runner, so the flat shoes allow my feet, achilles and calves to work efficiently at storing and transferring energy from the foot strike to the push-off. I had very little knee, ankle or foot issues since starting barefoot running in 2003. In the 1980’s running in motion control shoes (which I broke down quickly due to pronation) I had lots of sprained ankles and sore knees. I could and did sprain my ankles on flat pavement. Hard to compare the two eras, but I ran just as hard and trained just as many miles in the 2000’s with less knee issues and almost never spraining my ankles. The Science of Sport article discusses the difference between heel-strike and forefoot strike runners when it comes to minimalist shoes. They observe that not every runner changes to a forefoot strike when running barefoot, and for those that continue to heel strike, the impact loads on the feet and legs are 4x what the forefoot strike runners experience running barefoot. When they return to the shock absorbing shoes, both have the same impact numbers. 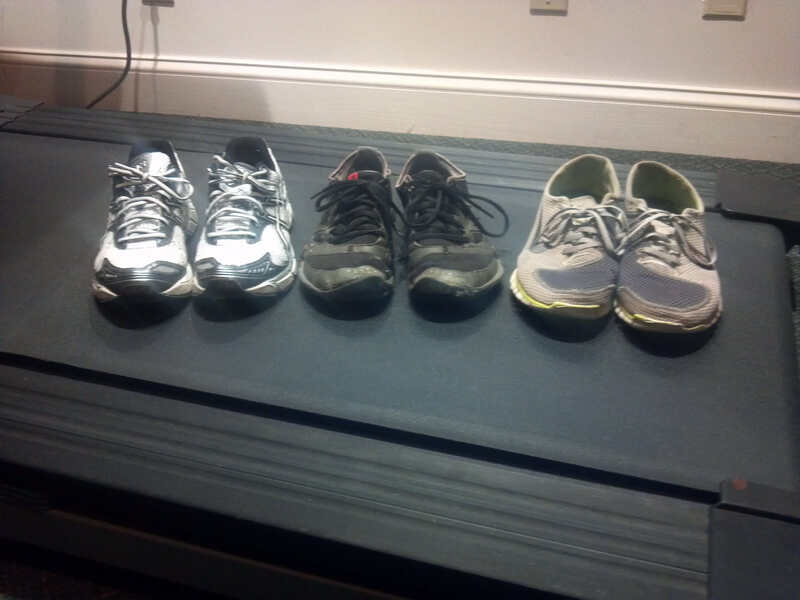 This may explain some of the reasons why runners have tried these shoes and gone back. Not everyone can change their foot-strike. Some who are successful in changing their foot strike find that that they get injuries after some time that may be attributed to the new foot strike. Some runner’s experience with these shoes and changing their running stride mechanics resulting in injuries can be found here. So what is the answer to the question of whether or not the barefoot/minimalist shoe is a fad that is over? I say maybe, maybe not. We all have to do what works for us and not let marketing hype push us into something inappropriate. These shoes work for some, but not all. My personal sense of the debate is that less shoe is better, but it may not be for everyone. Drastic changes to shoes or running mechanics require long periods of adjustment that most runners do not want to wait for. So listen to all the information, but do what works best for you in the long run. Exercise and Pain Relievers — a Bad Mix. Using pain relievers such as NSAIDS (ibuprofen, acetomenophin, etc.) to train through an injury or get you to the finish line can be a very bad practice. These OTC pain relievers just mask the pain, and do nothing about the injury and according to physical therapist Bruce Wilk, may even result in crippling injuries. In the last 10 years I have made it a rule to never use these drugs to train or race, in fact, I will only use them sparingly even when I am not working out. There are just too many side-effects in my opinion. Some pain is ok, severe pain is a warning sign. Pay attention. So please read Bruce Wilk’s blog entry and make your own decisions. Remember the goal is to able to do your favorite sport, whether it be running, cycling, or whatever for a very long time. Are you racing, running, cycling? Big Ring Riding’s Jill Yakota is doing the Rock the Ridge 50 Mile Challenge at Mohonk tomorrow. Have a great run Jill! So How’s your Big Toe Doing? Strange question, you ask? If you are a runner, it is a question that you should be asking yourself, as the big toe is a very BIG part of your running mechanics. You can’t run efficiently without involving the big toe and the mechanics of the foot in general. As a proponent of minimal shoes and even barefoot training, I learned many years ago that my feet make me an efficient runner. I started running barefoot on the grass around 2004 and found soon after that my running strength and efficiency improved greatly. I had less foot issues and stronger ankles — I have since my high school cross-country days always turned my ankles (seemingly for no reason, even on flat pavement). The next few years I had some of my best racing numbers ever. They present some exercises for manipulating the big toe and the plantar fascia to make it more flexible and thus more efficient. Your feet are an amazing mechanism. Take care of them and you’ll enjoy better and easier runs! There are probably more than seven, but I’ll go with what I Just found in this great post from strengthrunning.com. I know the post is from 2011 but it still has some great advice for all you runners out there. One of the more important comments is that it takes a long time for runners to achieve their peak performance. I would agree… he says 2 years or more. I would think that if you are in your 40’s or 50’s you should expect even LONGER to achieve your peak. Most of us are very impatient and want to see results immediately. Unfortunately, the first results most of us see are the wrong kind…. pain, injuries, and lack of improvement. All because we humans as a species are too impatient. Second most important comment, in my view, is that “runners don’t just run.” That is, if you want to be a good runner you need to do more than just run. Do those plyo’s, the core work, the weight lifting for strength and the dynamic stretching for flexibility. I, as most runners will do, discovered the hard way when my inflexibility and lack of muscular balance caused lower back spasms. Several years and lots of P.T. later it is gone and I am doing all the above to keep it gone. 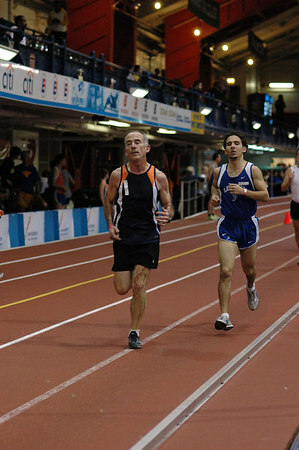 By the way, the picture is me running the mile indoors on the banked track at the NYC Armory a few years back. They run open adult-only races in the winter and it is a great venue. Go try it sometime! Let’s see…. that 30 year boom in running just about equates to my road racing history and experience. 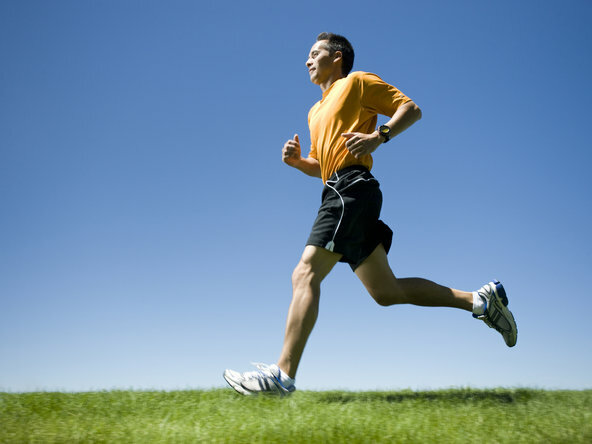 Running is a very stressful activity on your body — you will be injured from time to time. My injuries were unrelated to the type of shoes that I wore. I have had sprained ankles, plantar fasciitis, runner’s knee, pulled muscles, etc. over my running career. I have experienced less ankle sprains since I switched to barefoot/minimalist shoes (due to stronger feet?). That’s my unscientific analysis. Sadly, age seems to be a bigger determinant of frequency of injury and time to recover in my case. But the more capable scientists have also made no connection between shoes and frequency of injury. It appears that injuries caused by over-training, stress, and accidents are more common. And they also found that the cost of the shoe didn’t matter. Read the articles and make your own decisions. Don’t believe the marketing hype that is everywhere. Find what works for you and stick with it.